With regards to this page, special thanks go to William Anderson and Alison Wilkie both of the Inverness area for their assistance in local dialogue, research, information, newspaper cuttings and photographs. Many thanks to you both. 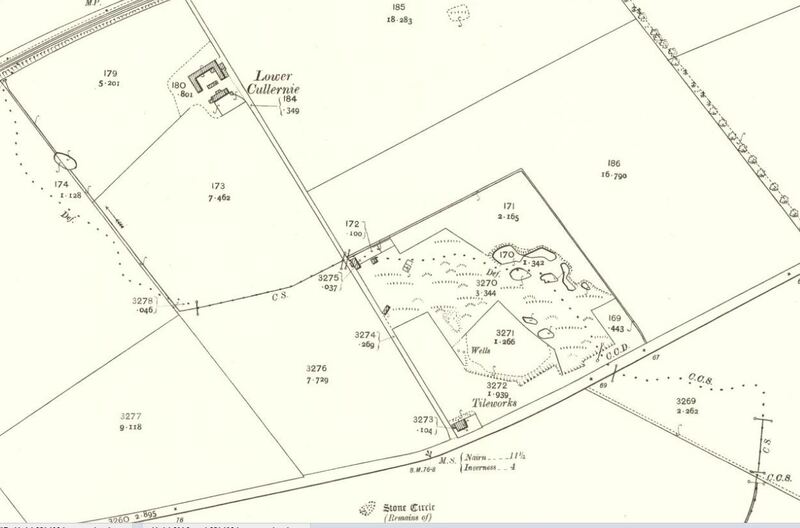 A little over a century ago several farm steadings around Culloden underwent minor alterations, such as bricking up of unwanted archway or windows and the building of extra walling. The bricks used had little in common with the cloned and crated specimens we see today on a building site. Though attractive, by comparison these were neither uniform in shape , colour or texture. Such an assortment however did not seem to worry the builders unduly, as their crumbling work of yesteryear contained both broken and misshapen bricks as well as drainage tiles. Clearly they had a local manufactory which could satisfy their need and, no doubt, ease their pockets at the same time. 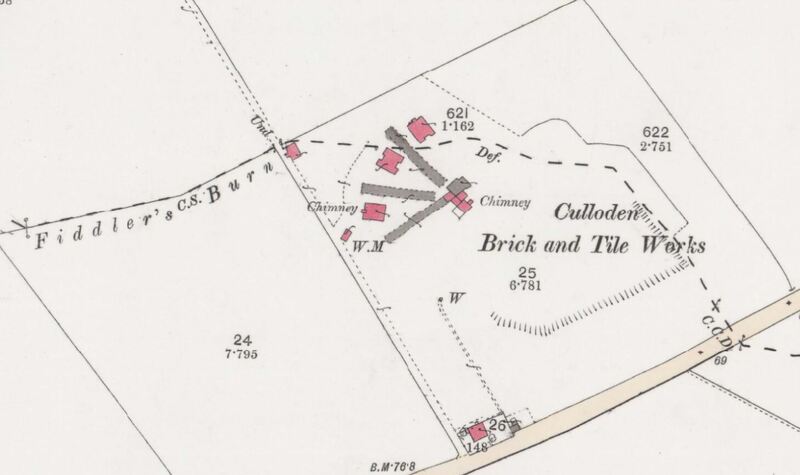 This was the Culloden Brick and Tile Works by the Aberdeen Road at Lower Cullernie – one of several similar businesses which sprang up around the Moray Firth with the advent of new farming practices requiring a better standard of building and improved drainage of the land. After a sales visit by tilers from the south, Arthur Forbes of Culloden, doubtless sensing a blossoming local market, decided early in 1847 to establish a Brick and Tile Works on an isolated patch of brick clays by the Alit na Fidhleir in the parishes of Inverness and Petty. Readers of “The Courier” were informed that the new factory would be open for business in July. 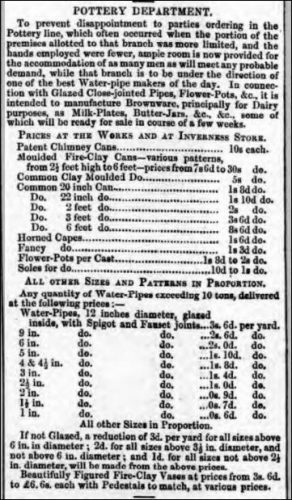 Advertisements proclaimed that there would be for sale ‘bricks, pipe drain tiles, common drain tiles, pan tiles for roofing and chimney cans and flower pots to order’. Common bricks were offered at 33/- per thousand but hand picked ones were 5/- extra. The first 1000 would be shipped free of charge from Culloden Bay to any port or beach within 50 miles, and examples could be viewed at Messrs Howdens or Hugh Campbell, Seed Merchant. The valuation rolls of the County of Inverness show that the business had become ‘unwrought’ and ruinous by the 1890’s, probably due to the shortage of clay. Today little remains on the site and the shipping pier at Brecknish has almost disappeared. During the summer of 1991 members of the club mapped the clay pits and undertook a complete survey of the pier which, once it had become cleared of the heavy tangle, produced an excellent selection of bricks and tiles made at Cullernie. 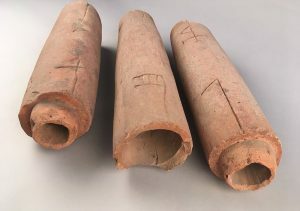 Calculations show that at least 10,000 cubic metres of clay were dug during the lifetime of the works, which could have produced up to 10 million 2″ drainage tiles or alternatively 5 million bricks. In the absence of estate papers nothing is known in detail about the equipment used, though this would have changed over the years, or of the number of people employed. However just as a bullet carries a record of the gun from which it is fired, so too does every tile carry the signature of the machine that made it. Thanks to the vintage writings of Robert Boyle and William Allardyce, we know a good deal about the machinery of the day. Both were Scottish drain – tile manufacturers who published a series of papers on the subject “Transactions of the Northern and Agricultural Society of Scotland” between 1847 and 1853. Furthermore, the distribution of buildings at Cullernie is clearly shown on the 6″ map of the Ordnance Survey which was drawn in 1869. What would have the Culloden factory have looked like. There is no doubt that during the summer, or periods of dry weather, when the weekly burn was on and the kilns fired up, Cullernie would have been a smoky place. At other times the site would have been dominated by the clay pits and the distinctive wooden drying sheds. There were 3 of these, each 200 feet long, 20 feet wide and 7 feet high. Two were arranged along the corner of a square with the 3rd bisecting the angle between them. They were crammed to capacity with layer upon layer of shelving and the sides were open to allow free circulation of air. Hanging from the edge of the roof, rolled canvas screens were released when rain or frost threatened the drying tiles. Two passageways ran the full length of the shed in which stood an Aimslie or Webster hand operated moveable moulding machine. In the narrow angle between the sheds was a pugmill in which the clay was mixed to an even consistency before delivery to the moulders. Two men and their boys would be paid 2/- per 1000 tiles moulded and shelved and on an average day, they would expect to make between 2 000 and 3000 tiles. When thoroughly dry, the setter would carefully stack them in the furnace and when this was fully charged, the fire would be gradually introduced and kept burning for several days. The economic success of the business greatly depended on the skill and practical experience of the setters and burners, for if the tiles were badly arranged or unevenly fired they would be broken or distorted and in consequence of little use to the farmer. Unfortunately there is ample evidence to show that this did occur periodically at Cullernie. A kiln was placed at the end of each shed. 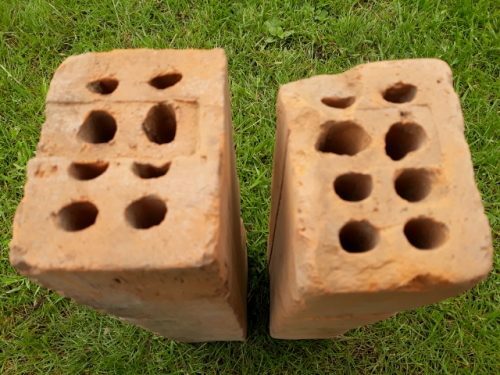 These were carefully constructed from special firebricks and were very expensive. Each of the Cullernie kilns would have cost Arthur Forbes at least £100 in the first instance, though if well made they could produce several million bricks or tiles before expensive repairs were needed. Apart from the smokey chimneys, these squat, rectangular furnaces perpetually oozed tendrils of blue smoke from their 20 or so fire doors or from the cracks which developed in their structure. To the visitor they must have appeared ready to blow up at any moment. 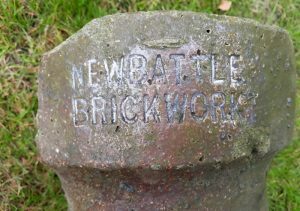 If they were kept warm and dry by continuous use, each would required 2.5 cwt of Newcastle coal for every 1000 tiles made. Once the tiles were cool, they were loaded onto carts and taken down the Redhill Road, across the field by Hemp Loch to the new pier at Brecknish. Pieces of brick and little used gateways still mark the route. Perhaps it would be worthwhile to quote a few words from the Agricultural Society’s Journal for 1853 – “Tile and pipe draining have now become an essential part of all good husbandry…the economical manufacture of draining material is truly a national object. He therefore who does anything to facilitate this object, however small, increases the internal resources of his native land”. 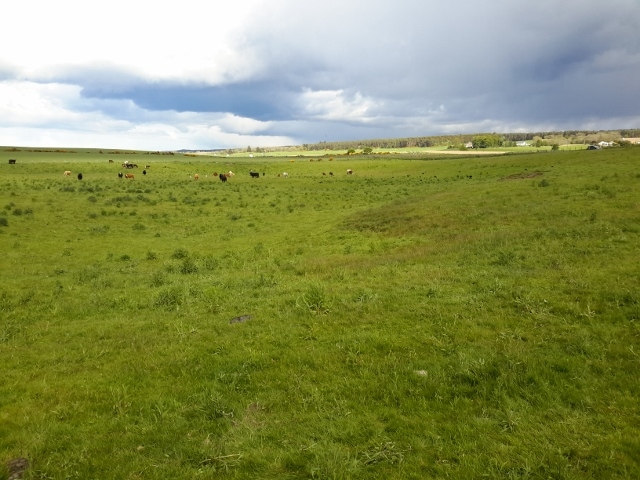 To judge from the many fine arable fields in the neighbourhood toad, the contribution made by Arthur Forbes and his skilled men at Culloden played no small part in this improvement. 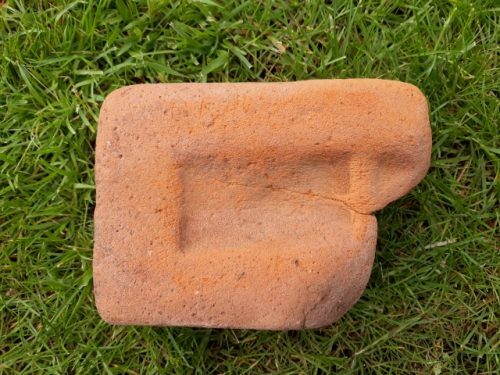 25/05/1847 – Inverness Journal – Culloden Brick and Tile Works – Four miles from Inverness on the Aberdeen Road and one mile from a commercial shipping place on the Moray Firth. 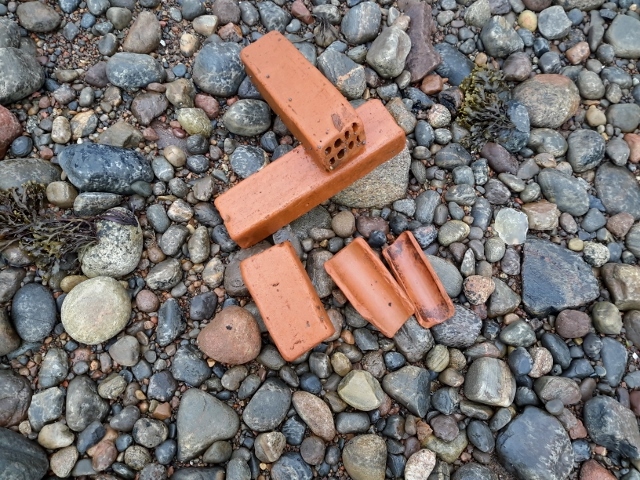 The public are respectively informed that they can now be supplied with bricks at these works at 33s 0d per 1000 or F.O.B in Culloden Bay at 35s 6d per 1000 – Or they will be delivered at any port or beach within fifty miles of Inverness at an extra allowance for freight according to the distance. Terms 3 months credit or 2 1/2d % for cash. As soon as the works are completed which will be , it is expected, by the middle of July, common and pipe tiles, soles, pan or roofing tiles, chimney cans and large pipes for the conveyance of water etc, of all varieties, will be manufactured at prices afterwards announced. Ballmore, by Inverness 24th May 1847. 18/06/1847 – Elgin Courier – Culloden Tile Works – We have much pleasure in noticing this newly-started species of manufacture, long desiderated in this part of the country, and which promises to be of the greatest utility, especially to the build and northern agriculturist. The want of tiles for the purpose of draining, formed a material drawback on the improvement of the soil. They could not be had but at a very great price-had in many cases to be brought from the south of Scotland, and even from England, adding to their first cost an enormous freight, and frequently were of inferior material and manufacture. The enterprise of Mr Forbes of Culloden has supplied this defect in our native resources by erecting a factory, not yet completed, though brick have been already burnt, which have been of a most excellent quality. The works are on his Culloden estate, about four miles from Inverness, immediate adjoining the Fort-George road, very conveniently situated for land carriage by that and the several lateral lines, and promises to be of still greater public utility on the completion of the Great Northern Railway, to which they will prove and important and unexpected source of traffic ; they are also very conveniently located with regard to shipping, as vessels can with safety take in cargoes at the adjoining beach. The clay is of the very finest quality, well adapted for all kinds of brown work, and even for pottery, which, however, is not intended to be carried on at present. The stratum of the ample extent having a superfice equal to three Scotch acres, and a depth of fifteen feet. Allowing three cubic yards to make one thousand bricks the stratum will produce sixty millions; and, indulging the most sanguine anticipation of demand, will not be exhausted in thirty years. It is intended to procure the best articles of machinery used in the manufacture of brick and tiles ; the latter will be begun in July. 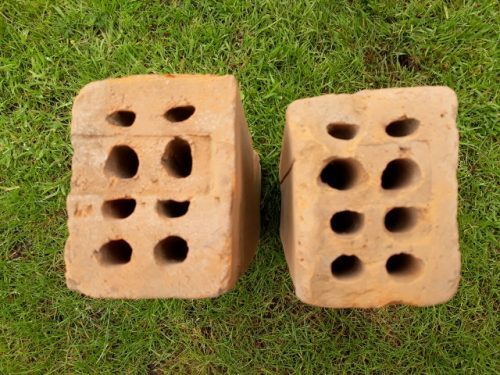 A material advantage of these bricks will be their being manufactured on the “dry stock” principle ; whereas most of those made in the South are from clay merely tempered in the hole with the spade. In this latter case the clay is not “pug-milled,” nor are the bricks of the superior kind called “dry stock made,” The prices, we understand, are considered to be very low, taking into account the dearness of fuel, and the cost od removal either by sea or land, is equally moderate. 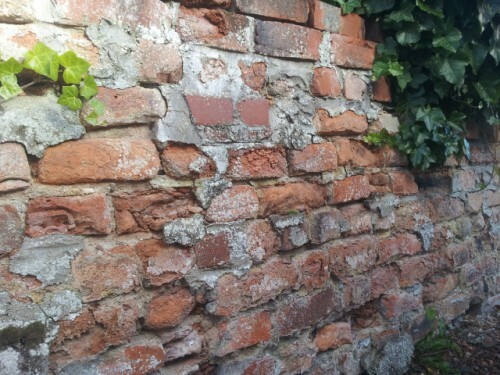 The groove brick specimens of which lie at the shops of Mr Campbell and Messrs Howden, seedsmen, is well adapted for the construction of garden walls-the groove receiving the mortar, permitting the brick to approach nearer to each other, and holds nails with greater firmness than is common with flat bricks to do. As expense was made no question, the best men, ,material, and machinery were sought out. 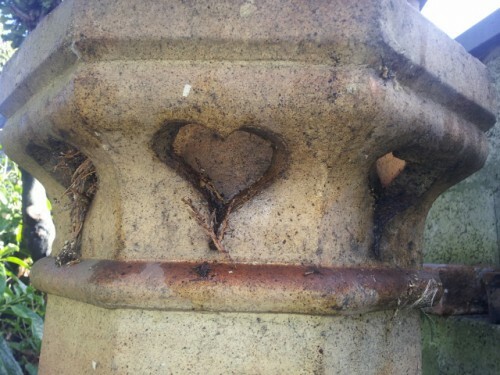 The manager, Mr Campbell, was bred to brick and tile making, at the Duke of Portland’s works in Ayrshire, and has now been twenty-two years at the business, a part of which period he was engaged in management. Extensive orders are already given for brick and tiles, one of which is from the contractor for erecting the Caledonian Bank buildings. The works will prove a great advantage to many-to builders, to farmers, and to the labouring class on the building estate. Mr Forbes’s extensive improvements, consisting of building, road making embracing the fine new approach to Culloden House, trenching, draining, fencing, and planting, with the opening of the valuable quarry at Leanach, on the water of Nairn, have indeed afforded ample employment to his tenantry, and his schemes promise them sufficient provision for a considerable time to come. 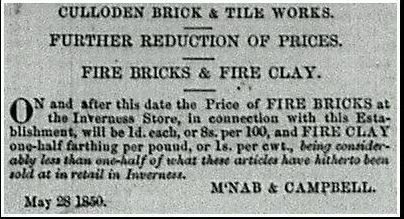 06/12/1849 – Inverness Courier – Culloden Brick and Tile Work – Reduction of prices. 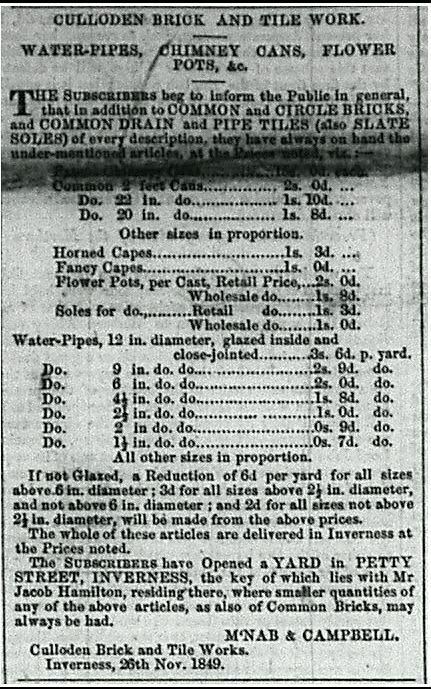 -The subscribers have just closed a contract for the manufacture at their works during the demanding season, of 2,500,000 or 592 miles of drain pipes and tiles of all sizes; and, calculating on the sale of this large quantity, they have fixed their selling prices as low as they can possibly be to remunerate. They have also visited all the principal works in Scotland and in the best tile making districts of England and are now engaged in extending their works and introducing all the recent improvements. By the 15th of February these erections and improvements will be completed and Culloden Brick and Tile Works will then be, without exception, the most extensive and complete in Scotland. The subscribers take the opportunity of returning their best thanks to those gentlemen who have during the past season favoured them with their orders, and trust that during the ensuing season they will kindly continue their patronage. They beg to assure those, who may honour them with their orders, that no article will be sent them that will not bear the strictest scrutiny, or in anyway inferior to what can be had from the best factories in the south. 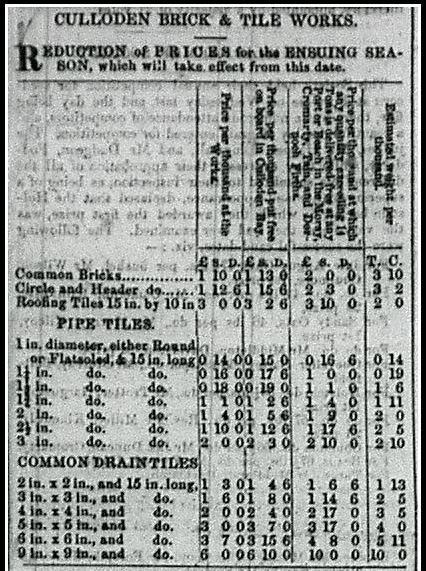 In comparing the prices quoted below with those of other works, it is necessary to keep in view that the length of all drain tiles and pipes manufactured by the subscribers is 15″; that they guarantee the number ordered from breakage; and that no docked vessel will carry dead weight of any size of pipe tiles above 1 1/2 ” in diameter. By the 1st of March (and earlier if the weather permits) their works will be in full operation and any quantity of any size may be had on the shortest notice. They always have on hand a large quantity on common and circle bricks. If not glazed, a reduction of 6d per yard for all sizes above 6″ diameter; 3d for all sizes above 2 1/2 ” diameter and not above 6″ diameter; and 2d for all sizes above 2 1/2 ” diameter will be made from the above prices. The whole of these articles are delivered in Inverness and the water-pipes in quantities exceeding 14 tons, at any Port or Beach in the Moray, Cromarty, Tain and Dornoch Firths, at the prices quoted. The subscribers have opened a yard in Petty Street, Inverness where smaller quantities of the above articles, as also of common bricks, may also be had. 21/03/1850 -Inverness Courier – Easter Ross – to the proprietors, farmers and others. 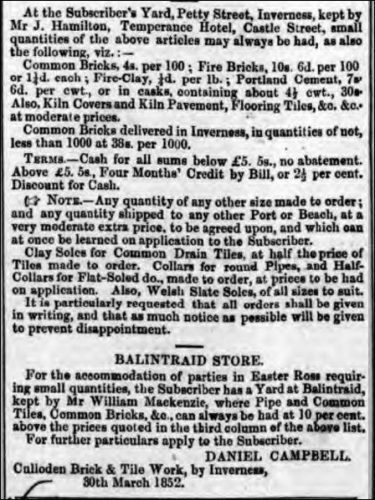 In order to accommodate those carrying on works of drainage in Easter Ross, the subscribers have rented a yard at Balintraid, where after the middle of the ensuing week, a large stock of all kinds of bricks, drain tiles, pipes, chimney cans etc etc will always be kept. No additional charge beyond the advertised prices, except the cost of discharging out of the yard, will be made. The key of the yard lies with Mr William MacKenzie, Shoremaster, Balintraid and McNab and Campbell Culloden Brick and Tile Works. 28/03/1850 – Inverness Courier – Culloden brick and tile work. CULLODEN BRICK AND TILE WORK. Dear Sir,-Having visited several of the Brick and Tile Establishments in the south-among which the far-famed one at Leith-I must confess those manufactured at your Establishment are equal, if not superior, to any i have yet seen made in Scotland.-I am, Sir, your obedient servant. Dear Sir,-I have used a considerable quantity of the Bricks manufactured by you last season, in building my Furnaces, &c.,and I have much pleasure in certifying that they are of a most excellent and superior quality ; they re hard, and well suited either for maintaining weight or exposure to weather,-I am your most obedient servant. Dear Sir,-I hereby certify that i have used a considerable amount of the Bricks manufactured by you in the course of the last season, and I have no hesitation in saying theyare quite sufficient for outside work and exposure to the weather, and not inferior to anything of the kind brought from the south to this quarter.-I am, Dear Sir, yours truly. Dear Sir,-I have much pleasure in certifying that the quality of the Bricks manufactured by you in the course of last season is very superior, quite sufficient to stand exposure to wind and weather, and not inferior to anything of the kind got from the south.-I am, Dear Sir, yours very truly. Dear Si9r,-In answer to your inquiry regarding the quality of Circle Bricks furnished by your Firm in the month of August last, for the building of a stalk on the farm, I have great pleasure in saying that they were of most excellent quality, well and equally burned, and out of the whole number used, 4700, not half a dozen were rejected by the brick-layer; and I am convinced the weather will have no effect upon them-o the contrary, render them harder and better.-I am, Dear Sir, yours truly. 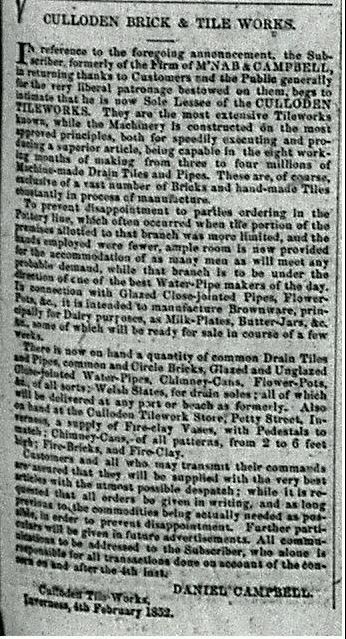 05/09/1850 – Inverness Courier – Inverness Show – Messrs MacNab and Campbell, Culloden Tile Works, a lot of handsome ornamental chimney cans and a pipe drain ( if it may be so called for the sake of description) formed of glazed tile pipes of large bore set into each other and cemented together. 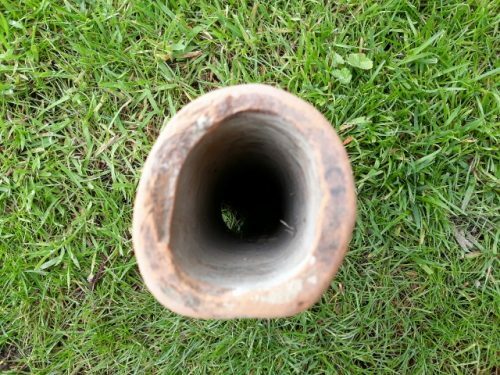 It was tested with a strong power of water by the Water Company’s works and we are informed that the tile pipes so jointed can be supplied about 1/3 of the cost of cast iron pipes. 07/02/1851 – John O’Groat Journal – The Culloden Tile Work – Few objects excite more interest than the rise and progress of manufactures, in localities in which the kinds to which they belong were formerly unknown. Their fate forms a subject to curious speculation, their advances are hailed with triumph, and every accession to their productive capabilities awaken something like emotion in all patriotically anxious for their prosperity. Some walks of industrial employment are more connected with a country’s welfare than others. Though all are interesting, none should proceed, in our estimation, those immediately connected with the improvement of the soil. They add to the facilities already in possession, for the production of human food ; and nothing than this is more substantially beneficial to any people. These remarks are peculiarly apply to the Culloden tile work. A few years ago, scarcely any work of the kind existed in the north. We certainly know nothing forming a parallel to the great undertaking under review. Thanks for originating it, are due to Duncan Forbes Esq., Commissioner for Culloden. The project was his, he demonstrated it practicability, by bringing it into operation, and proving such manufactures generally advantageous as well as profitable. It came into being at a period when destitution pervaded our country. The people cried for bread, willing to repay it with labour. Government acceded to the proposal of a grant for the purposes of drainage ; but what should have become of the Highlands, if local establishments had not opportunely arisen to supply draining material? First, it was the day of few and feeble things. The cloud upon the sky was scarcely larger than a human hand. To have seen it then and now were to have seen inchoation and perfection. The object of the proprietor seems merely to have been to give the undertaking entity-furnishing it with a certain impetus-assigning it then to parties sufficiently energetic to carry out his views. In this he was singularly fortunate. The concern has since succeeded admirably under the lessees. From being a few sheds it seems a little town. Instead of the old horse mill, the arm of steam has long since given consistency to the material. Two towering stalks send their sable streams into the sky. Extent of premises are not the only data on which increased production might be argued, even if the aid of figures were a wanting. The best machinery wrought by man power has been introduced where it possibly could be made available, still the amount of manual labour has so increased, as to furnish work for more hands than heretofore. The reader may perhaps be interested in some of the following details connected with this work during the bygone season. The quantity of coals used in baking bricks, tiles, pottery, &c,. was upwards of 2,500 tons. The number of tiles made, was above 2,400,000, which lineally extended would be 550 miles in length. Yet, after all, there is not a pipe tile on hand, while many complain of having been supplied to the amount of their orders. This explanation should be ample apology to such as may have been disappointed. The hand machinery is equal to the task of working off 28,000 tiles, 15 inches long, in 10 hours. The machines in all are seven, and an ‘Ainslie’s’ is to be added, capable of producing 12,000 per diem, of 10 hours duration. The shedding, old and new, is calculated for drying 150,000 pieces of tile per week. The entire superficios of shelving extends to 53,500 feet. Notwithstanding this, the supply has hitherto been far below the demand. Orders have poured in, which the firm has been unable to execute. The end of the season overtook the requirements of parties unimplemented. This suggested artificial means of drying which might defy stern winter’s frosts. Instead of lying on their oars for three months of the year, all is now to be activity and bustle. A large drying shed is erecting, capable of preparing 40,000 pieces of forty eight hours for the kiln, the services of which will be equally available in winter and summer. We say nothing of the immense quantities of bricks that leave the works during the year. They are the only articles of which there may be said to be remnant in stock. The pottery department is a flourishing affair ; and communities helping themselves to the commodity of water have given their pipes a preference to such as are made of less frangible, though not more cleanly material. Altogether the undertaking is an instance of what enterprise, perseverance, and energy may accomplish. Much of its success has certainly arisen out of peculiar circumstances. A leading one is nearness to the new, which supercedes a long and expensive land carriage. A few hours may make the difference of difference between Inverness, Wick, Banff, or any other town in the Firth. Once on board, the expense of loading, unloading and harbour dues incurred, the number of miles to run danger of the navigation, &c., appear insignificant, chargeable on a short trip or a long one. Our principle Agricultural districts lie along our lines of coast-generally between deeply indenting arms of the sea ; as the Black Isle, between Moray and Cromarty Firths ; Easter-Ross, between that of Cromarty and Dornoch, where parties may ship to the side most adjacent to their lands. It is the same from Duncansbay head to the Buchanness. This makes the subject of our remarks not merely local, but common to the north. The morale, however, is than in which we are more interested-namely, the progress of enterprise, skilfully and perseveringly prosecuted, and that directed to the good of the many. 04/04/1851 – John O’Groats Journal – Portland and Roman cements and mastic. Prices very moderate. 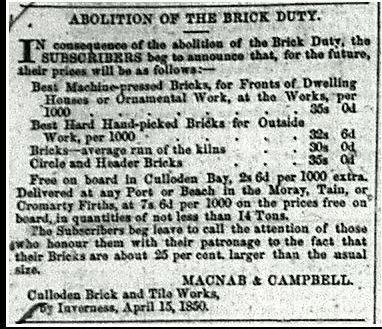 Apply to MacNab & Campbell, Culloden brick and tile works 17/03/1851. 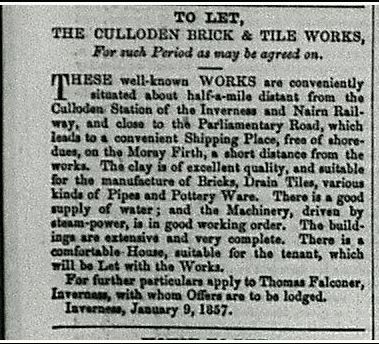 11/04/1851 – Elgin Courant and Morayshire Advertiser – Culloden brick and tile works etc – In another column will be seen an advertisement from Messrs Macnab and Campbell, the spirited and enterprising proprietors of the Culloden Brick and Tile Works. Lately we availed ourselves of visiting the large and extensive establishment, and was glad to observe, notwithstanding, the dullness of the times, that there was no lack of employment there,as the workmen, upwards of 60 in number, were all busily and cheerfully employed. This is not at all to be wondered at, as the superiority of the quality, as well as cheapness of materials manufactured, is now known over the length and breadth of the north; consequently, the demand is, we understand, greater than can be accomplished, particularly in the drain pipies and tiles. Of such, from the 1st instant up to the 3rd, no less than ten large boats, and three sizeable sloops, all well loaded, were exported to Easter and Wester Ross, Sutherlandshire and Caithness, also to the Aird district. A good deal too has been sent of late to the mountainous district of Stratherrick, the Braes of Lochaber, and the Island of Mull, in the far west. This evidently shows what our Highland lairds and farmers are doing in the way of improving the soil. Mr Wilson the tacksman on Fettes Farm, on the Barony of Redcastle, last week ordered no less than 31,000 drain tiles, a farm which we thought from its hitherto unparalleled improvement required no more. It would appear as if his amiable and gallant laird and he were trying with each other in improving, as the former is also doing wonders in that way at present on his neighbouring estate of Tarradale. We may also state that the Hon. Mrs Stewart Mackenzie of Seaforth, is making extensive improvements in draining, &c., at Brahan and neighbourhood, as, during the season, her Ladyship’s factor, Mr Mitchell, has ordered no less than from eight to nine cargoes of drain tiles. Besides what is duly exported to distant parts throughout the north, there is a constant cartage going on by parties in the neighbourhood of the establishment. The demand for pottery goods is equally keen, much more than really can be accomplished; However, additional assistance for the department is about being got from Staffordshire. The engine that works the clay is an excellent one of 15 horse power. Of late a drying stove has been erected, which is 80 feet long and 28 broad, with which is connected Ainslie’s machine, wrought by steam. The tiles are brought in on waggons, forty in number, on rails to the stove-house, and through the process in little more than a day’s time, 40,000 tiles are finally prepared. The great advantage of the stove-house is, that tiles can be made during frosty weather as well as at any other period. In connection with the heating machine and stove-house, three are 730 feet of rail. The other machines we noticed, were four of Bert’s, two of Young’s and one of Clackmannan, and the proprietors are erecting a hand-wrought brick machine of their own invention. 12/06/1851 – Inverness Courier – Presentation – The Inverness Building Association – On Thursday evening last Mr Kennedy Macnab, of the Culloden Brick and Tile Works, was presented with a valuable and handsome silver salver, commissioned from Mr Naughton, Church Street. Mr Macnab took a particularly active part in the establishment of the Inverness Building Association, and at first undertook considerable pecuniary liabilities on its behalf. The society, however, succeeded admirably; and the presentation was subscribed for by several of its members as the most suitable acknowledgement that could be tendered to Mr Macnab for his successful services in its establishment. The presentation was made in the rooms of the association in High Street, in accordance with the expressed wish of several of the subscribers; and the salver bore the following inscription:-“Presented to Kennedy Macnab, Esq., by members of the Inverness Building Association, to commemorate his success in founding and establishing that institution. 1851.” Mr A. Johnstone, the Chairman of the association, presented the piece of plate, and after expressing his inability to represent the wishes of the subscribers in adequate terms, stated the great confidence he had in the Building Association, and expressed a hope that the whole three hundred members would, at its termination, be possessed of comfortable dwelling-houses, their own property, few of whom, without this society’s assistance, could ever have anticipated such a possession. It was to Mr Macnab that they were indebted for this state of things-to him was to be attributed the foundation of the association-to his energetic labours must be ascribed the great success that had hitherto attended their operations;-and this being the case, he (Mr. J.) was then deputed, on behalf of the subscribers, to request, Mr Macnab’s acceptance of the plate as an expression of their appreciation of all he had done.-Mr Macnab replied. He felt quite unable to return thanks in a manner adequate to the occasion, but he thought tat at least a share of the honour conferred on him was justly due to several of the gentlemen around him. Mr Macnab then went on at length into the natures of building societies, and the benefits they were capable, when properly managed, of conferring on the working classes. In England working men had freehold societies, which in course of time enabled them to secure a forty-shilling freehold; and, when possessed of this, they had a voice in the selection of a person to represent them in Parliament. Although in Scotland a forty-shilling freehold franchise did not exist, still he hoped that in Inverness the Building Association would ultimately be the means of procuring to every one of its members, as had already been expressed by their worthy Chairman, a comfortable dwelling house of their own; and when this was attained it would confer a right to vote in the burgh of Inverness not only for municipal but parliamentary representatives. Mr Macnab concluded by repeating his thanks for the esteemed gift. Both speakers were frequently applauded.-The great body of those present then adjourned from the Association Rooms to the Castlehill Tavern, when Mr A. Johnstone was called to the chair; and Mr D. Kelly, High Street, to the croupier’s seat. Various toasts were proposed and heartily responded to, including the healths of Mr Macnab, the Chairman, Mr Kelly, Mr Brown, sen., Mr P. Bailie, Mr H. Dobson, Mr W. Maclennan, “Success to the Inverness Building Association,” &c., &c. A very happy evening was spent-all contributing to the enjoyment of each other. Several excellent songs were sung, and speeches made, and the company did not separate till a late hour. Below – 12/02/1852 – Inverness Courier – Daniel Campbell is the sole lessee of the Culloden brick and tile works and informs customers. 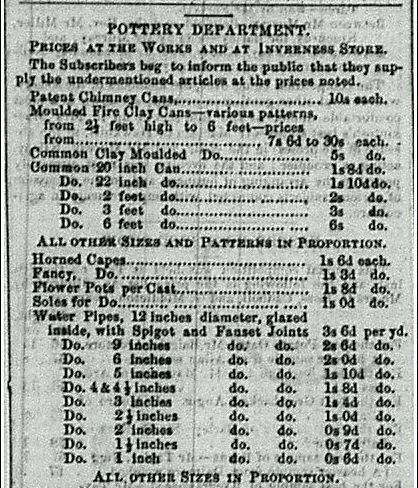 Below –15/04/1852 – Inverness Courier – Daniel Campbell states he is now the sole lessee of the Culloden brick and tile works and supplies a list of products and prices. 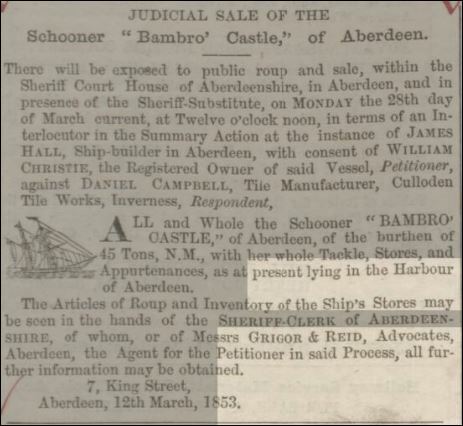 Below – 23/03/1853 – Aberdeen Press and Journal – Judicial sale of the schooner ‘Bambro’ Castle’ of Aberdeen – with consent of William Christie petitioner against Daniel Campbell, Culloden brick and tile works, Inverness. 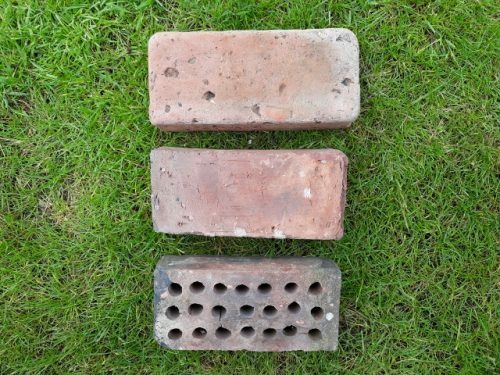 10/06/1853 – Elgin Courier – Culloden brick and tile works – a correspondence of the John O’Groats Journal mentions that no less than 1523 tons of drain tiles have been exported from Culloden to the County of Caithness and 160 tons to Orkney and Shetland. 08/09/1853 – Inverness Courier – At the Culloden brick and tile works, which have risen into a thriving and extensive business, supplying a large proportion of the north of Scotland with building and draining materials, a new branch of manufacture has lately been started and a considerable quantity of brown pottery – mil, plates, jars etc is now sent into Inverness and the neighbouring towns from this establishment. Should the quality of the manufacture be found to improve, it will probably meet with a very extensive demand, for the expense of transportation from the potteries of England is so great that dealers would gladly embrace any opportunity of obtaining their goods nearer home. It seems strange, by the way, that the manufacture of bricks, which involves so little outlay should not be more extensively prosecuted in this neighbourhood. The lands of Tommahurich, Lochnashannish, Kessock and Holm afford abundant supplies of clay, of a quality which we understand to be quite equal to the manufacture of bricks and as good quarry stone is far from abundant within the same range, a remunerative demand for bricks might be reasonably anticipated. In the south many farmers make their draining tiles at home, at a great saving of cartage and Mr Cubitt cleared a large fortune by building Belgravia and Pimlico, London with the clay which he dug out in making the foundations of his houses. 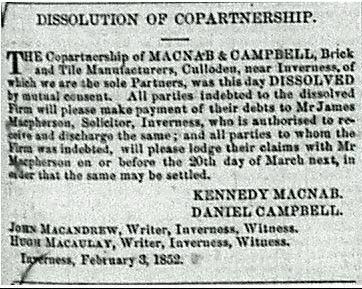 06/10/1853 -Inverness Courier – Notice to debtors and creditors of the late firm of MacNab and Campbell. All parties indebted to the said Firm are requested to make immediate Payment to Mr Thomas Falconer, Solicitor, Inverness, who alone is now authorised to receive Payments and discharge the Accounts; and any Creditors Of the Firm, who may yet remain unpaid, are requested to lodge Duplicates of their Accounts with Mr Falconer for examination and payment. Kennedy MacNab, Daniel Campbell Inverness , 6th October 1853. 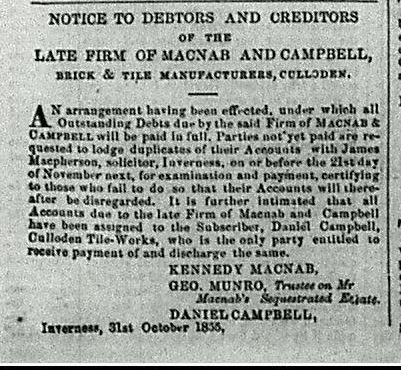 31/10/1853 – Notice to debtors and creditors of the late firm of MacNab and Campbell, Brick and tile manufacturers, Culloden. An arrangement having been effected, under which all outstanding debts due by the said Firm of MacNab and Campbell will be paid off in full. Partied not yet paid are requested to lodge duplicates of their accounts with James Macpherson, solicitor, Inverness, on or before the 21st day of November next, for examination and payment, certifying to those who fail to do so that their accounts will there-after be disregarded. It is further intimated that all accounts due to the late Firm of Macnab and Campbell have been assigned to the subscriber, Daniel Campbell, Culloden Tile Works, who is the only party entitled to receive payment of and discharge the same. Kennedy MacNab, Geo Munro, Trustee on Mr Macnab’s Sequestrated Estate. Daniel Campbell, Inverness, 31st October 1853. 27/07/1854 – Inverness Courier – Sequestrations – Kennedy McNab, merchant, residing at Millburn Cottage, near Inverness, as an individual and as a partner of the late firm of McNab and Campbell, brick and tile manufacturers at Culloden brick and tile work, near Inverness – creditors meet at the Caledonian Hotel, Inverness 3rd August one o’clock. 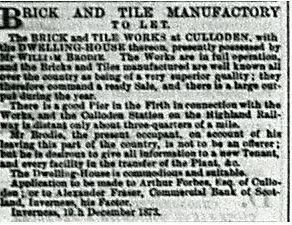 Below – 04/02/1857 – Aberdeen press and journal – Advertisement announcing that the Culloden brick and tile works are available to rent. 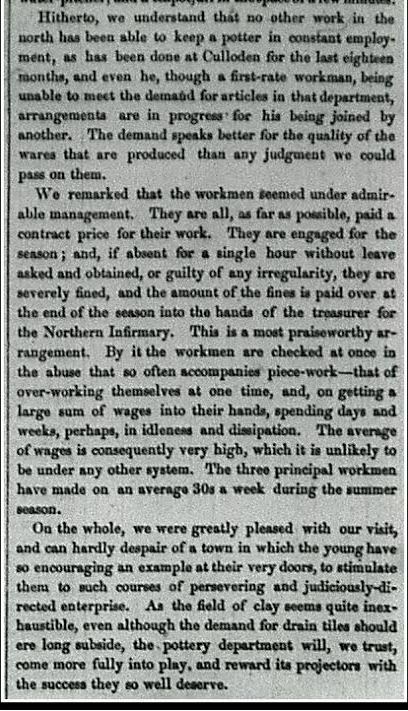 Below – 15/09/1859 – Inverness Advertiser – Scotch Bankrupts. Sequestration – Daniel Campbell, brick and tile manufacturer, Culloden, near Inverness – creditors meet in the Caledonian Hotel, Inverness, 23rd September, one o’clock. – MacPherson and MacAndrew, solicitors, Inverness, agents. 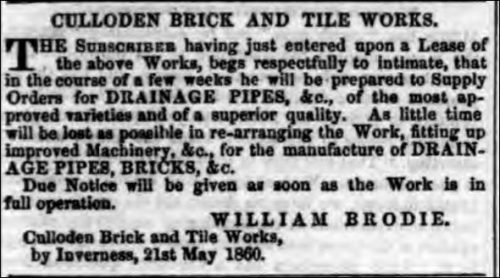 15/04/1874 – Aberdeen Press and Journal – Brick and tile manufactory to let – The brick and tile works at Culloden with the dwelling house thereon presently possessed by Mr William Brodie. The works are in full operation and the bricks and tiles manufactured are well known all over the country as being of a very superior quality. ; they therefore command a ready sale and there is a large output during the year. There is a good pier in the Firth in connection with the works and the Culloden Station on the Highland Railway is distant only about 3/4 of a mile. Mr Brodie is at present the occupant on account of his leaving this part of the country, is not to be an offerer. The dwelling house is commodious and suitable. Applications to Arthur Forbes esq, of Culloden or Allexander Fraser, Commercial Bank of Scotland, Inverness, his Factor. Inverness 10/04/1874. 16/02/1878 – Aberdeen People’s Journal – The death is announced of a well known Inverness character – Kennedy McNab. The deceased originally belonged to Ayrshire and came to the north when a young man. For a time he was a lessee of the Culloden brick and tile works but ultimately became a journalist. He had for some time been engaging in collecting subscriptions for erecting a monument to President Forbes. 07/01/1879 – Banffshire Journal – Scotch Bankrupts – John Hendrie & Sons, Builders, Inverness and brick and tile manufacturers at Culloden. 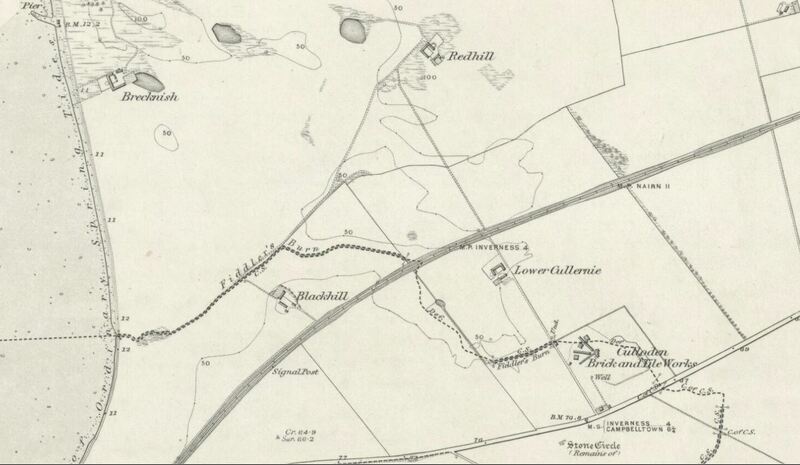 04/11/1881 – Ross-shire Journal – Culloden brick and tile works, Culloden. The bricks and tiles from the above works have long been in repute for their strength, hardness, good shape and fine colour. William Ross, Lessee. Orders may be left at 75 Castle Street, Inverness. 20/05/1881 – Dundee Advertiser – Outer House before Lord Lee – Hendrie & Son v Ross and others -The pursuer in this action were builders in Inverness. They stated that in 1874 they entered into a lease for ten years of Culloden Brick and Tile Works with the late Arthur Forbes of Culloden. They purchased and took over from the outgoing tenants the steam-engine and machinery;and, relying on the authority given in the lease to put up all necessary erections, and anticipating that there would be no difficulty about the landlord relieving them of the same, made the above erections at their own expense. The pursuers day that the landlord was fully aware of these and approved of their being put up. The pursuers’ estates were sequestrated in December 1878, and thereafter the landlord made arrangements for letting the works to the defender Ross. In the course of the negotiations between the pursuers, Ross, and the landlord, pursuers stipulated that all articles, including the buildings and erections, made at their own expense should be taken over. The pursuers’ agreed to a renunciation of their lease in favour of the landlord, and Ross was, with the sanction of the landlord, to take over from pursuers at a valuation the engines, machinery, &c., which had been taken over by the pursuers at their entry. An arbitration ensued, and the sum brought out as payable to pursuers was £1322. Ross, took possession of the works and erections, but has not paid any sum under the award. Ross, in defending the action, maintained that the arbiters went beyond their powers in valuing certain of the erections, and held that the amount of the award, so far as within the limits of the reference, was £510, and has placed this sum in the landlord’s hands. Today it was intimated that the action had been settled. Counsel for pursuers-Mr Mackintosh. Agents-Martin & McGlashan, S.S.C. Counsel for defender’s-Mr D. Robertson. Agents-Skene, Edward, & Bilton, W.S. 14/05/1886 – Aberdeen Press and Journal -OUTER HOUSE. (Before Lord Lee) INVERNESS-SHIRE BILLS DISPUTE. Campbell v Forbes. The pursuer of this action Daniel Campbell, sometime tenant of the Culloden Tile Works, Inverness, presently residing in Edinburgh, sought to recover the Duncan Forbes of Culloden the sum of £1000 alleged to be contained in bills granted upwards of 30 years ago by the pursuer for the accommodation of the defender, and which the pursuer had to retire at maturity. The defender was factor and commissioner for his brother, Arthur Forbes of Culloden, and he averred that the bills were not accommodation bills, but were granted in payment of the Tile Work stock taken over by the pursuer from the defender’s brother. The defender farther averred that he had no accommodation bill transactions with the pursuer, and pleaded, inter alia, that pursuer’s averments were irrelevant, and in any view they could only be proved by the defender’s writ or oath. The case was set down today for taking the oath of the defender, to which the resting owing had been referred. The case was, however, settled extrajudicial by a payment being made to the pursuer,and the defender was assoilzied from the conclusions of the action, each party paying their own expenses.Counsel for pursuer-Mr Rhind. Agent-Wm. Officer, S.S.O. Counsel for defender-Mr Kenedy. Agents-Skene, Edwards, & Bilton, W.S. 09/12/1887 – Ross-shire Journal – Culloden brick and tile works – These long established works having now been refitted with the newest and most approved machinery. A large stock of bricks and field drain pipes of first quality is offered at very moderate prices. William Ross, Culloden Tile Works, Inverness. 08/02/1894 – Scottish Highlander -Action against the Forbes Culloden Trustees – In the Inverness Sheriff Court yesterday further proof was led in the action by Mr William Ross tenant of the Culloden Tile Works against the Forbes Trustees. The subject in dispute is whether the Culloden Tile Works should be taken over as a going concern and the outgoing tenant, the pursuer, paid accordingly or not. Ex Provost Fraser, the factor on the estate was again examined with regard to the draft submission of agreement and as to the question of Mr Ross receiving valuation for the machinery at the tile works on his outgoing the same way as his in going. He stated he could not remember anything with regard to the negotiations as to the terms upon which Mr Ross entered or was to leave the tile works. Mr Forbes of Culloden, who was examined at considerable length, said he remembered Mr Ross’s entry into the tile works in 1879 but he could not remember of having any meetings with him at Culloden House prior to his entry. The negotiations were completed through the law agents of the property. He remembered that Mr Ross had complained about a clause in the lease which limited his claim for machinery to a sum of £500. He did not however agree with him that this objection was well founded because Mr Ross might have put in machinery and increase his claim at his way going to £1000. In cross examination Culloden said the Forbes Trustees had offered Mr Ross £250 in settlement of his claim and had all along been willing to have the machinery valued, leaving it to the arbitrators to to say whether it should be valued as a going concern or not. Mr Ross the pursuer, was afterwards examined and gave a full narrative of the proceedings which took place with regard to his entry to the tile works, stating that in terms of his offer he had put the buildings into sufficient order and had paid the valuation upon the machinery fixed at his entry. He understood all along that he was to be paid valuation in the same way at his outgoing. The negotiations up to a certain point proceeded satisfactorily, but after receiving the draft submission of agreement, he received a letter from the Edinburgh agents which indicated that it was only proposed to value the machinery as old iron. He had expected large sums in putting in new machinery and keeping the place in thorough working order, and he maintained he had left the premises in a better condition than when he had received them. The proof was then adjourned until to day for the hearing of another witness. 30/03/1894 – The Inverness Courier – We regret that by a clerical error in our issue of Tuesday, it was stated that Sheriff Blair’s decision in the above case was in favour of the defenders, the Culloden trustees, whereas it was in favour of Mr Ross, Seafield of Raigmore, whose contention that the machinery should be valued as a going concern, the Sheriff sustains. As the case has excited considerable interest in the district, we give below the main points in the Sheriff’s interlocutor and note. The Sheriff finds in point of fact that the pursuer entered into possession of the Culloden Tileworks, of which the defenders are owners, in February 1879, on a seven years lease, and by arrangement with them took over certain machinery and plant therein at a price fixed by arbitration, and upon conditions that upon his outgoing the machinery, &., should be taken over by the defenders at a price to be fixed by arbitration, in default of the agreement. The pursuer continued by tacit relocation to occupy and possess the said subjects until Whitsunday 1891, when he quitted the premises, leaving his machinery and other effects therein. The parties having failed to agree on the price, the pursuer now seeks to have the value of the machinery and effects ascertained by arbitration. Finds in law that the pursuer is entitled to have the price fixed by arbitration, and that the machinery and effects should be valued as plant in situ, capable of earning a profit, as the name should be settled by valuators mutually chosen (or by an oversman chosen by the said valuators to decide in the event of their differing in opinions), and ordains the defenders to concur with the pursuer in entering into a reference to valuators to be mutually chosen, and to name valuators accordingly. Continues the cause until the first Court day in May next, that the minute of references may be settled and approved by the Court. In the meantime reserves all questions and expenses, and grants leave to appeal. The Sheriff observes in his note that the connection between the parties began in 1879. The letter written by the pursuer to Mr Duncan Forbes, of date 19th February 1879, is the offer made for the Tile-Works by pursuer. The offer was accepted, and pursuer was referred to Mr James Anderson, as Culloden’s agent, and to Mr Alex. Fraser, banker, Inverness, as his factor, for completion of the transaction. Thereupon the pursuer int reviews Mr Anderson, who tells him that he must take the machinery, &., at a valuation. The pursuer ultimately agrees to do this upon condition that he is relieved of it at his outgoing on the same terms. Accordingly a minute of agreement is entered into between Messrs Hendrie (the former tenants) and the pursuer, and the machinery and other articles are taken over and paid for by the pursuer to the agent for the landlord. The receipt, which bears the date 18th April 1879, is, the Sheriff thanks, complete evidence of the landlord being a party to this arrangement between Messrs Hendrie and the pursuer, independent altogether of the parole evidence adduced. It is to be observed, moreover, that the pursuer’s testimony is throughout clear and distinct; while, on the other hand, the other witnesses have no distinct recollection of what took place at these communings, and even the letters adduced in evidence failed to remind them of the particular matters of which they are treated. A draft lease was prepared by the landlord’s agents during Mr Arthur Forbes’s life, and afterwards revised when the trustees came into possession. The original draft contains a clause to the effect that on the termination of this task the landlord shall take over, or, in his option, shall take the incoming tenant bound to take over, on the valuation of parties to be manually chosen the whole engines, machinery, tools, and others now to be taken over at valuation by the tenant as aforesaid. The alterations on the draft lease as revised were set submitted to or approved of by Mr Ross, who refused to sign the extended lease on that ground. In fact, Mr Ross did not see the extended lease, or know of the alterations on the original draft, until long after he had entered into possession of the Tile-Works. The cover or envelope in which the extended lease was handed to Mr Ross by Mr Forbes bears the postmark of 3rd July 1879, and approximately fixes the date where Mr Ross first became aware of the alterations on the original draft lease. On 26th May 1886 Mr Ross writes to Mr Forbes as to a new lease, and there the condition as to the relief of the machinery and plant is plain and instinct. But no response is made to this offer until 11th April 1890, when Mr Fraser, factor, writes to Mr Ross, and holds him to his offer of 26th May 1886. The pursuer went out at Whitsunday 1891, and made a claim on the defenders for the value of the machinery, &c., belonging to him on the premises. On 30th June following, Mr Fraser wrote enquiring of the pursuer what it is he is entitled to, and in answer to this enquiry the pursuer sends him the old valuations with the Hendries, for the purpose of showing what should be valued. On the 20th July, Mr Fraser sends to the pursuers a draft of a submission which is approved of by the pursuer (the only alteration being an addition of the words “and others” after the words machinery), who also gives the name of the arbiter chosen by him. The correspondence between Mr Fraser and Colonel Warrand, which took place at this time, shows that no alteration was made or contemplated on the draft submission. However, on a correspondence taking place between the pursuer and Messrs Skene & Co., the defenders’ Edinburgh agents, a different arose,the agents contending that the machinery and plant should be valued not as a going concern but as for breaking up. After this two draft submissons were prepared by Messrs Skene and Co., who have declined to produce the original draft submission. The new draft submissions were not approved of by (Mr Ross’ agent),. and that has been revised by the defenders’ Edinburgh agents, who’s revision was not approved of by Mr Scott. The result of all this is the present action. The question at issue between the parties is-how are the machinery and other effects in the brickworks at Culloden to be valued by the arbiters to be appointed. It is maintained by the pursuer that these should be valued as a going concern, and by the defenders that they should be valued as for breaking up – each article valued separately as articles that are of no use to the the landlord, or in other words, as old metal. In the Sheriff’s opinion the machinery and effects should be valued as plant in situ, capable of earning a profit-a value which merely enables the pursuer to obtain the price of the things which belong to him within the premises. The proper price can only be ascertained by considering what would be a reasonable sum for a willing purchaser to pay for the machinery as machinery capable of earning a profit by working this brick work. As the defenders do not acquiesce in these views, the Sheriff has granted leave to appeal. Agent for the pursuer-Mr Roderick Scott. Agent for the defenders-Mr Wm. Anderson. 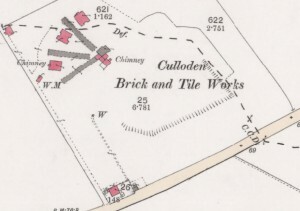 Below – 1903 – Culloden brickworks – Look disused. The Culloden Tile Work – Few objects excite more interest than the rise and progress of manufacture, in localities in which the kinds to which they belong, were formerly unknown. Their fate forms a subject of curios speculation, their advances are hailed with triumph, and every accession to their productive capabilities awaken something like emotion in all patriotically anxious for their prosperity. Some walks of industrial employment are more connected with the countries welfare than others. Though all are interesting, none should precede, in our estimation, those immediately connected with the improvement of the soil. They add to the facilities already in possession, for the production of human food; and nothing than this is more substantially beneficial to any people. Those remarks peculiarly apply to the Culloden Tile Work. A few years ago, scarcely any work of the kind existed in the north. We certainly know nothing forming a parallel to the great undertaking under review. Thanks for originating it are due to Duncan Forbes Esq. Commissioner for Culloden. The project was his, he demonstrated its practicality, by bringing it into operation and proving such manufactures generally advantageous as well as profitable. It came into being at a period when destitution pervaded our country. The people cried for bread, willing to repay it with labour. Government acceded to the proposal of a grant for the purposes of drainage; but what should have become of the highlands, if local establishments had not the opportunity arisen to supply draining material. First, it was the day of few and feeble things. The cloud upon the sky was scarcely bigger than a human hand. To have seen it then and now, were to have seen inchoation and perfection. The object of the proprietor seems merely to have been to give the undertaking entity – furnishing it with a certain impetus – assigning it then to parties sufficiently energetic to carry out his views. In this he was singularly fortunate. The concern has since succeeded admirably under the lessees. From being a few sheds it seems a little town. Instead of the old horse mill, the arm of steam has long since given consistency to the material. Two towering stalks send their sable streams into the sky. Extent of premises are not the only data on which increased production might be argued, even if the aid of figures were a wanting. The best machinery wrought by manpower has been introduced where it possibly could be made available, still the amount of manual labour has so increased as to furnish work for more hands than heretofore. The reader may perhaps be interested in some of the following details connected with this work during the bygone season. The quantity of coal used in baking bricks, tiles, pottery etc was upwards of 2,500 tons. The number of tiles made was above 2,4000,000, which lineally extended would be 550 miles in length. Yet after all there is not a pipe tile on hand, while many complain of not having been supplied to the amount of their orders. This explanation should be ample apology to such as may have been disappointed. The hand machinery is equal to the task of working off 28,000 tiles, 15″ long in 10 hours. The machines in all are 7, and an ‘Ainslie’s’ is to be added, capable of producing 12,000 per diem (per day) of 10 hours duration. The shedding, old and new, is calculated for drying 150,000 pieces of tile per week. The entire superficiea of shelving extends to 55,500 feet. Notwithstanding this, the supply has hitherto been far below demand. Orders have poured in, which the firm has been unable to execute. The end of the season overtook the requirements of parties unimplemented. This suggested artificial means of drying might defy stern winters frost. Instead of lying on their oars for 3 months of the year, all is now to be activity and bustle. A large drying shed is erecting, capable of preparing 40,000 pieces in 48 hours for the kiln, the services of which will be equally available in winter and summer. We say nothing of the immense quantities of bricks that leave the works during this year. They are the only articles of which there may be said to be a remnant in stock. The pottery department is a flouring affair; and communities helping themselves to the commodity of water have given their pipes a preference to such as are made of less frangible, though not more cleanly material. Altogether the undertaking is an instance of what enterprise, perseverance, and energy may accomplish. Much of its success has certainly arisen out of peculiar circumstances. A leading one is nearness to the sea, which supersedes a long and expensive land carriage. A few hours may make the difference of distance between Inverness, Wick, Banff or any other town in the Firth. Once onboard, the expense of loading, unloading and harbour dues incurred, the number of miles to run danger of the navigation etc appear insignificant, chargeable on a short trip or a long one. Our principal agricultural districts lie along our coast – generally between deeply indenting areas of the sea; as the Black Isle between Moray and Cromarty Firths ; Easter Ross between that of Cromarty and Dornoch, where parties may ship to the aide most adjacent to their needs. It is the same from Duncansbay Head to the Buchanness. This makes the subject of our remarks not merely local, but common to the north. The morale however, is that in which we are most interested – namely, the progress of enterprise, skilfully and perseveringly presented and that directed to the good of the many. Sir Evan Mackenzie, Bart, of Kilroy is now erecting on his estate near MunLochy, a very extensive brick and tile works and, where, we understand, from the superiority of the clay, several kinds of earthenware utensils are also to be manufactured. Below are 3 photos taken in May 2015, by William Anderson, Inverness and show where the Culloden Claypits were once worked. 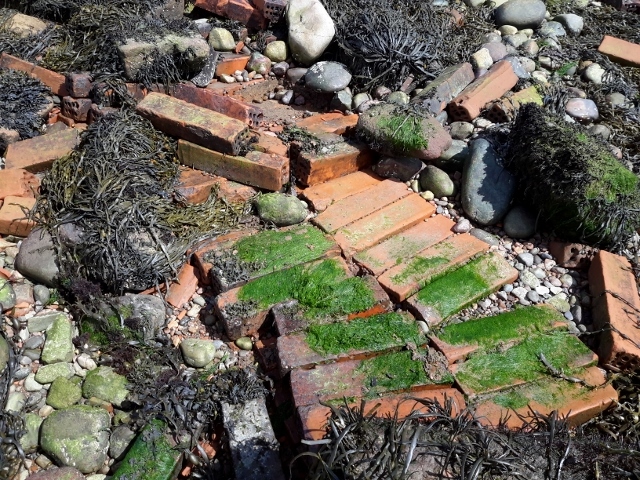 Also depicted are Culloden drainage tiles / bricks on the shore near Brecknish. The following photographs are believed to be products manufactured at the Culloden works. They were recovered at the shore at Brecknish where Culloden products were stacked ready for transportation by ship. Below 2 x drains – 80mm x 105mm x 385mm. 8 holes running full length. Note a liftine tool appears to have been inserted into the 2nd row holes of each example. 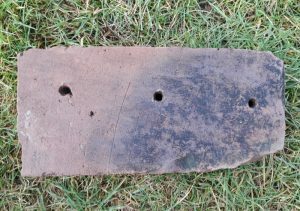 It is entirely possible that the tool lifted 2 of these cored bricks at a time – ie the tool had 4 prongs. 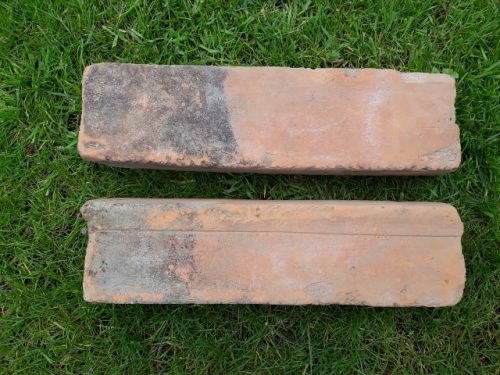 Half brick with frog – the frog appears to have been separated by a middle ‘bridge’ 75mm x 100mm by 220mm? Below – D shaped drainage tile 70mm x 75mm outside diameter. Unknown length as the example is broken. 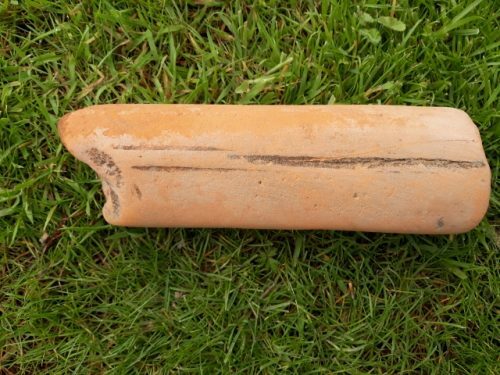 The following 2 items are possibly made at the Culloden works – both were located at a house in Inverness about a mile from the works and date to the time of the works. The plot was bought in 1872 by Thomas Macdonald snr. Stone mason and builder, He built his house there and used the rest of the ground as his builders yard up until 1880 when he built a row of semi detached houses on it. Mr Macdonald used local products when he could. He used Culloden brick in the internal divider walls in the semi detached houses. It is believed that when the houses were built next door a boundary wall was built between the main house and the semi detached. A picture of the wall is reproduced further on. This was built with Culloden brick. 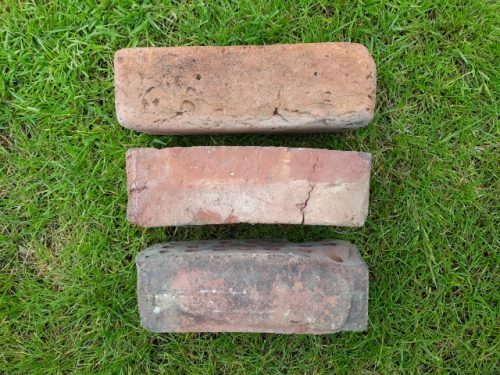 At this time the Caledonian Hotel, Inverness was being built and it was stipulated that Culloden brick was to be used, but the bricks were to be best quality and well fired etc. and building was to be finished by 1882. Thus it is further believed that the boundary wall referred to above was made from Culloden 2nds bricks and these as can be seen from the photograph have deteriorated over the years. Below – salt glazed feeding trough. 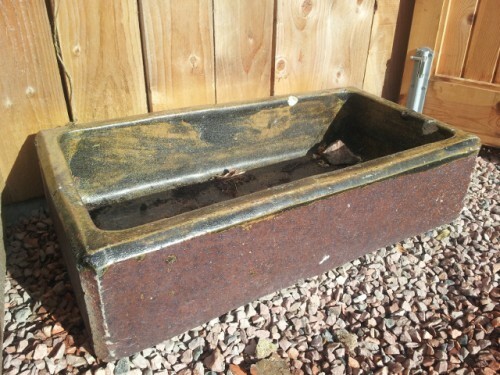 3 other same sized troughs with same colourings inside and out were seen at a house still standing at the Culloden tileworks. 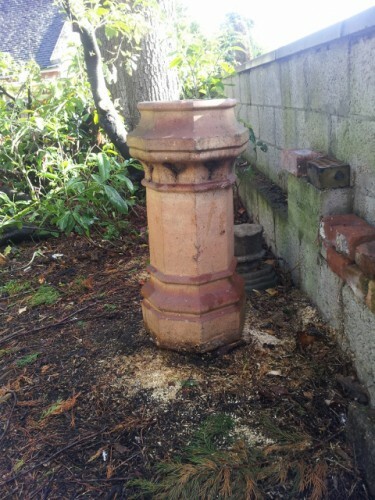 Below – Chimney pot which was an original from Mr Macdonalds house. The wall below is full of character and is believed to have been built with Culloden brick between 1872 – 1880 . It is situated at same location as the trough and chimney above.